Worcestershire Ambassadors has appointed six new directors with a wealth of experience across a range of business sectors. Joining the board to help build awareness of the group and raise funds for its 2019 charities St Paul’s Hostel and Worcester Community Trust are Chris Green, James Green, Tracy Lowe, Sarah Mayo-Evans, Dawn Owen and Derek Simmonds. Back, from left, Chris Green, Tracy Lowe, Sarah Mayo-Evans, Dawn Owen. Seated, James Green, Kevin Powell. Chris Green is managing partner of communications agency Chris Green Media, James Green is founder and chief executive of IT and cloud managed services provider TechTeam and Mrs Lowe is proprietor of Lowe’s Solicitors. Ms Mayo-Evans is a property developer and director of Pierpoint Properties, Ms Owen is director of business consultants Asentiv and Mr Simmonds is a solicitor and partner of gunnercooke llp. 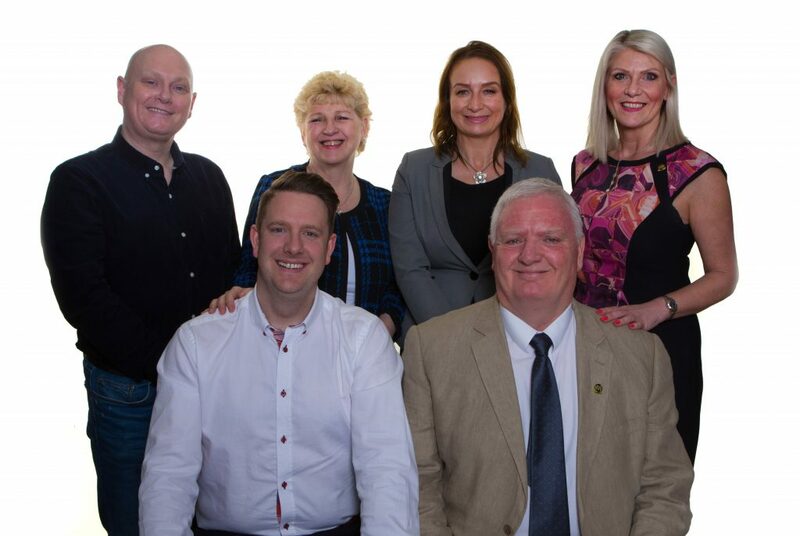 Kevin Powell, chairman of Worcestershire Ambassadors, which promotes the county through charity fundraising and sponsorship, said: “I’m delighted to welcome six highly enthusiastic members to the existing board. The selection process was very competitive with some excellent candidates offering us a range of skills and experience. Worcestershire Ambassadors hosts a diverse range of fund-raising and social events including charity dance spectacular Strictly Worcestershire, which will be staged at the Chateau Impney in Droitwich, on May 23, an annual cricket day at Worcestershire CCC on May 1 and race and golf days in September. The annual ball will be held at West Midland Safari Park in October.